One common problem among people is that they often find converting traffic into leads or sales difficult. The scenario is often that they are using Google Ads or Facebook ads to drive traffic to their website but the traffic isn’t converting. The obvious question then arises which is “what is wrong with my website”. Often without realizing it people invest in a good design but that design fails to do the job of converting prospects into customers. When they ask what the problem is there is the reality check that it is often not one single thing but a number of possible reasons why conversions are not happening. One reason can be how they have designed and planned the ads which results in the wrong type of potential customers coming to their site. This bad traffic is basically traffic coming to your site that isn’t the intended target audience. In this blog we are going to take a look at how you can use the bounce rate to understand out why your traffic isn’t converting. According to Navneet Kaushal, when you begin to see a high bounce rate on your landing pages, it’s a signal that your site and content marketing strategy need a serious redesign. To start with let’s explain what bounce rate is and why it is important. In simple terms the bounce rate is when someone who comes to your site and leaves without taking any type of action, which includes going to another page. These indicate that either they are not the target audience and/or that what they see on the site doesn’t connect with their intention. 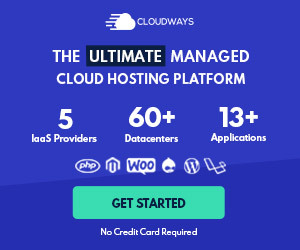 Poor quality hosting – if you have a website on low cost hosting then a poor response and service will cause your site to load slowly and cause high bounce rates. Poor Quality Content – if your content is lame, boring, not useful or engaging then you will suffer with your bounce rate. Content is hard to find – if you write like your school taught you the chances it could be a problem. People do not read long paragraphs and you need to get your point across quickly – make content SNACK-ABLE. Page doesn’t match search result – if you use a keywords that has little context to the page you direct your audience they will quickly leave. What do you want them to do – you need to have defined objectives – what do you want your audience to do. In most cases and as a minimum this should be to give up some information like an email address. Google analytics is an amazingly powerful tool to track your bounce rate and to delve into the detail of what is causing your high bounce rate. Once you determine which pages have a high bounce rate, you can then start working on improving your website. If you’d like to learn more on how to use your bounce rate to improve your site, take a quick look at the infographic below. Gary Fox (MBA, PGCE, BSc), Keynote Speaker and Entrepreneur. Current doctoral researcher at Cranfield University specialising in creativity and innovation - how to be creative, solve problems and produce products/services that people want and care about. Gary is also passionate about marketing, technology and helping others to create businesses that thrive and grow. Join our mailing list to receive the latest resources and updates to help you grow your business.